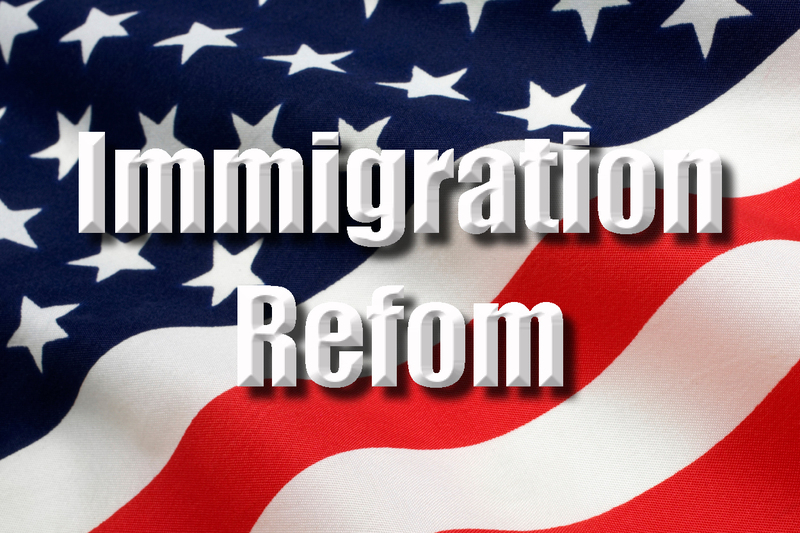 Immigration Reform and Your Business | Franchising You. There’s no question the United States has attracted numerous immigrants in search of a better life. Unfortunately, many of them do not follow proper immigration channels and are staying here illegally, whether that’s by crossing boarders illegally or by outstaying their visas. Lately there has been a lot of media chatter around the new federal immigration reform bill, and just yesterday the Senate passed it, yet it faces a big hurdle in the House—if it goes to a vote at all. As we publish this piece, it’s expected that it may not even go up for a vote, with the House instead crafting their own version. However it washes, the possibilities affects 12 to 20 million undocumented workers in the United States. What does this mean for businesses and franchises? According to Crain’s New York Business, the new program to be established by the bill would bring thousands of workers to businesses and franchises. While big business, which needs more tech-savvy employees, has pushed hard for the bill to increase the number of H1-B visas, franchisees have pushed for the bill’s W-Visa program, which would welcome more low-skilled immigrants. The W-Visa program provides temporary visas for less-educated workers. The visas are meant to ensure an adequate workforce is available in areas where jobs don’t require a college degree. They are also renewable and allow families to enter the country. Recently there has been a high demand for these services and has led to businesses hiring 11 million undocumented immigrants. This causes a common problem since employers may take advantage of these workers by paying below minimum wage, and the bill would change this. One of the biggest issues with immigrants gaining their work visas is the difficult and lengthy application process. There are a number of proposed changes to reduce wait times and increase the availability of visas for skilled workers, which are currently in high demand in the U.S. According to Scott Legal Services Inc., the current immigration system sets a cap on the total number of visas issued by category (EB-1 through EB-5) and then further limits this by country. For example, country-specific limits on employment-based immigrant visas have caused significant wait times (in excess of 10 years) for some applicants from countries like China and India. If the bill becomes law, the wait time would be eliminated and would present an opportunity for employment-based green cards for applicants from these two and other countries, which in the past has been extremely difficult. There is also discussion of a new immigration proposal which would create a new green card merit system. People will be accumulating points based on their family ties, education, employment, and other qualifications. The higher the score, the better the chances are for getting a green card. Many concerns people have with the reform is a fear of not knowing if their workers are legal. The U.S. Citizenship and Immigration Services (USCIS) has partnered with the Social Security Administration (SSA) to operate an Internet-based system called E-Verify. E-Verify provides an automated link to federal databases to help employers determine employment eligibility of new hires and the validity of their Social Security numbers. The new bill will expand E-Verify and make it mandatory for employers to utilize. ← Where in the world is TWO MEN AND A TRUCK®?